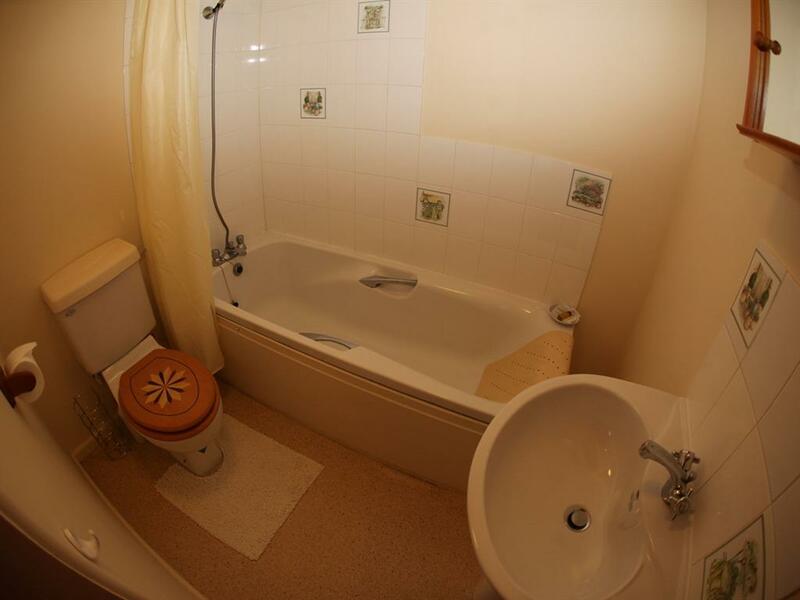 1st floor double with high ceiling and large, bright en-suite bathroom with bath (shower over). 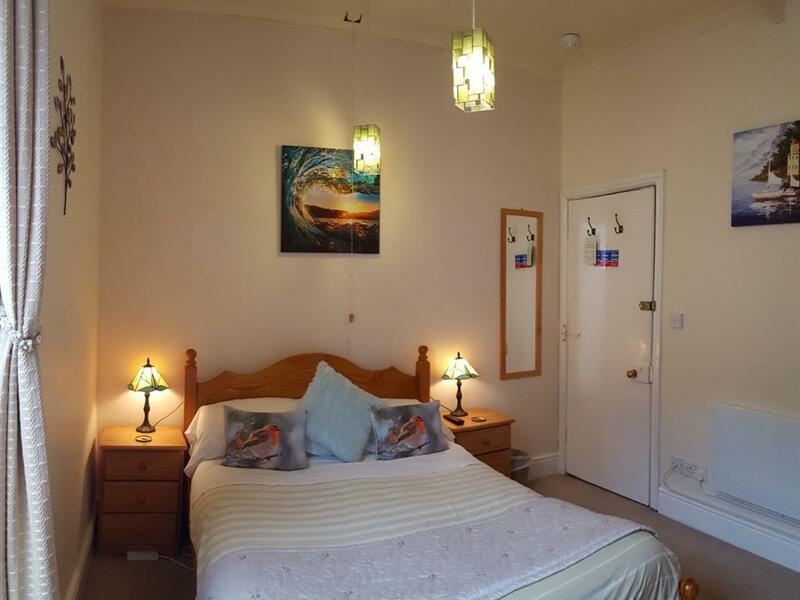 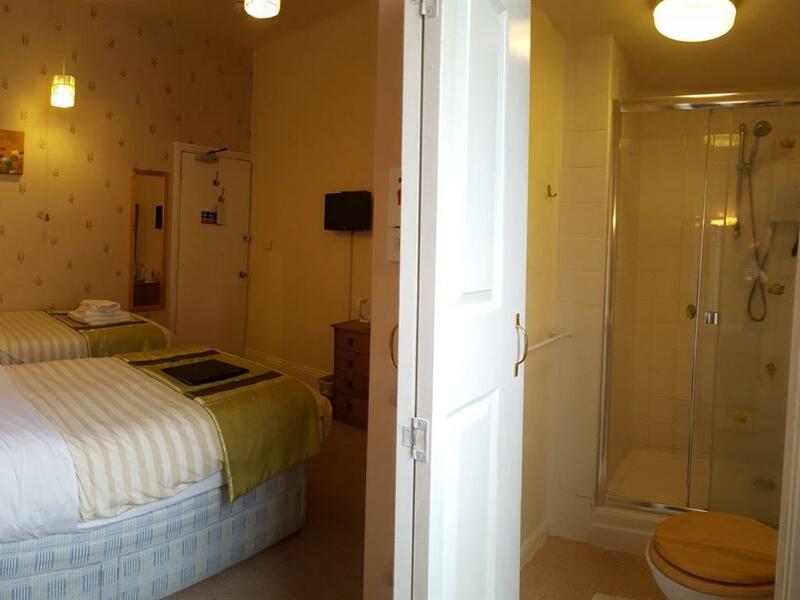 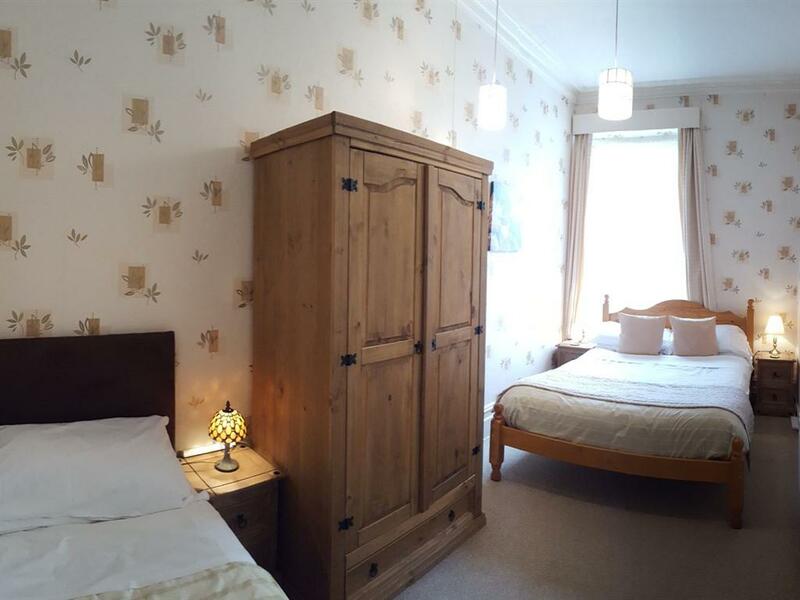 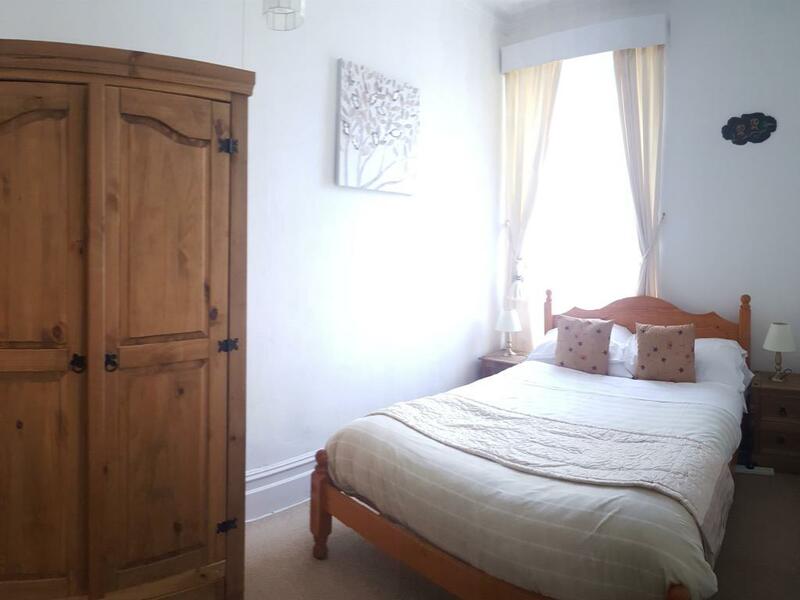 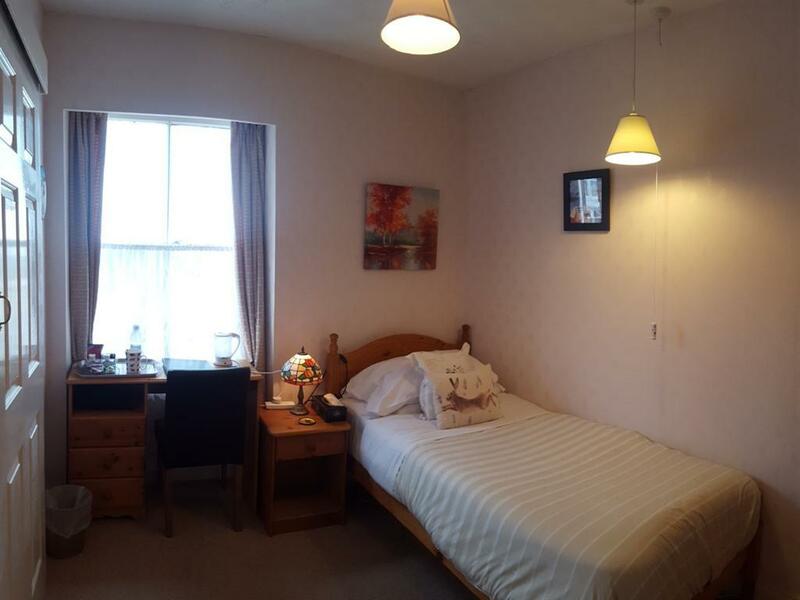 1st Floor twin bedded room with high ceiling, en-suite with electric shower. 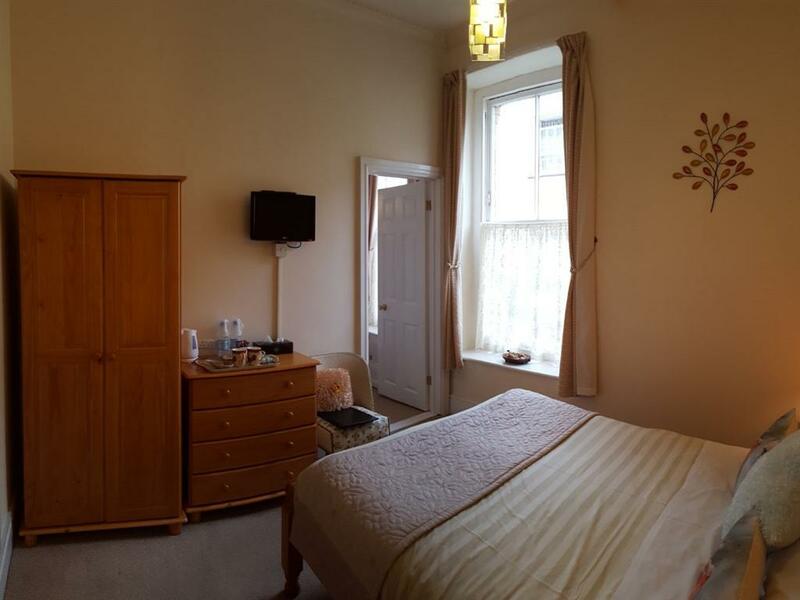 Self-contained 1st floor fully en-suite family unit with a large bedroom containing a double bed and single bed. There is a separate small lounge with seating, TV, comfort tray etc. 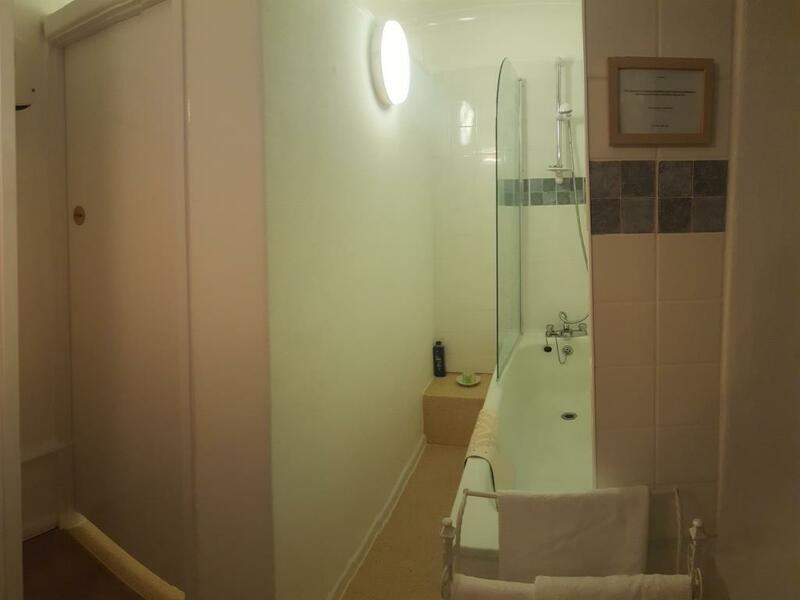 Ideal for families with a younger child. If your child is two or under you can book this room same room for double/twin occupancy. 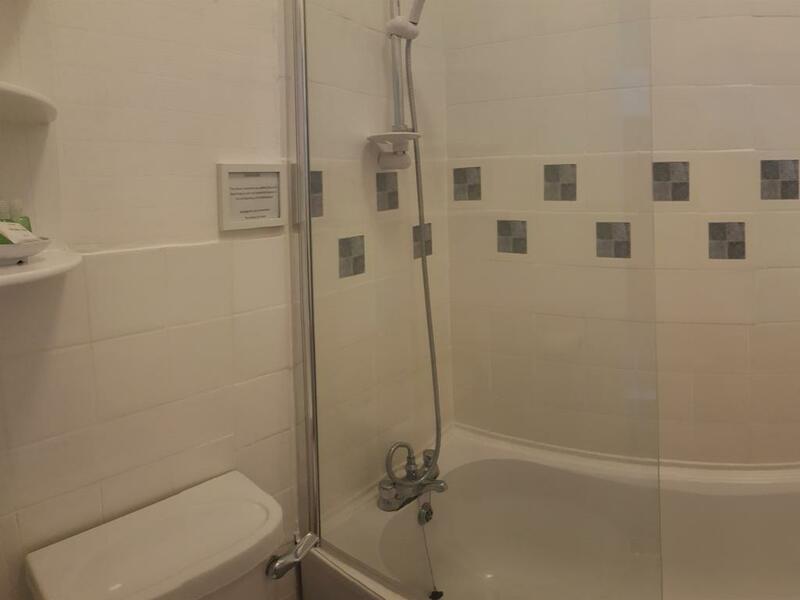 Self-contained 3rd floor two-bedroom suite with en-suite bathroom. 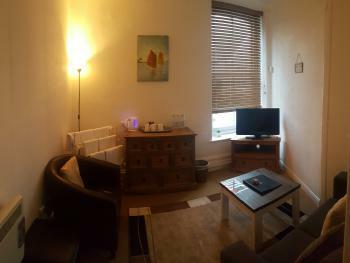 There is a double bedroom and a single bedroom, both with TVs. 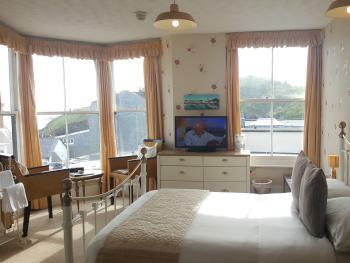 The double bedroom has a view inland towards Capstone Hill and seaviews across the Channel. 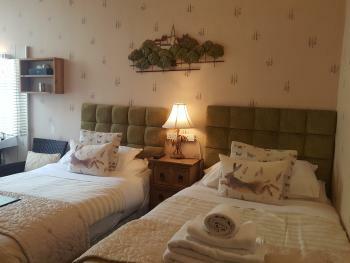 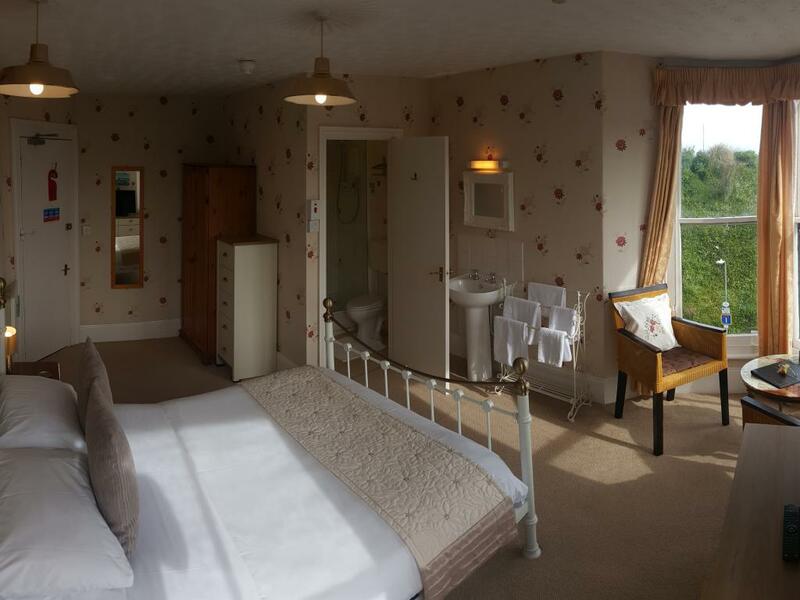 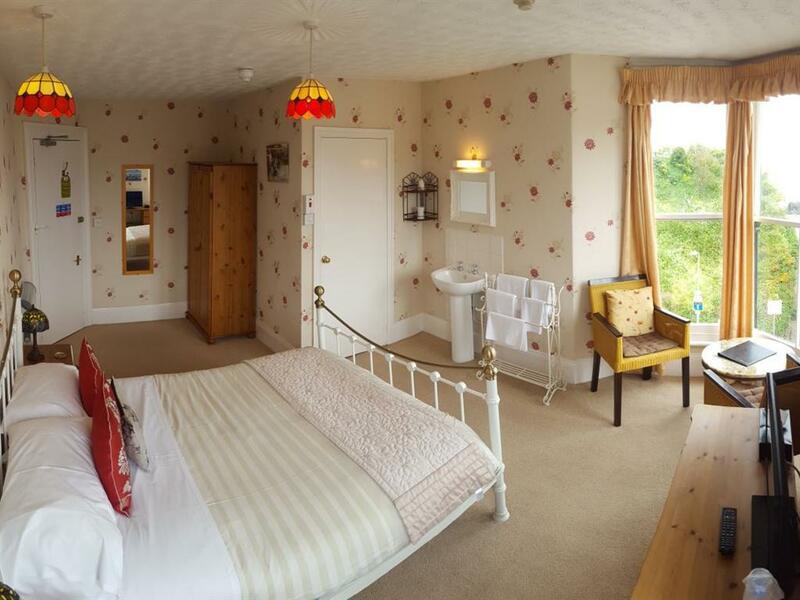 This suite is ideal for a couple travelling with an older child or adult family member. 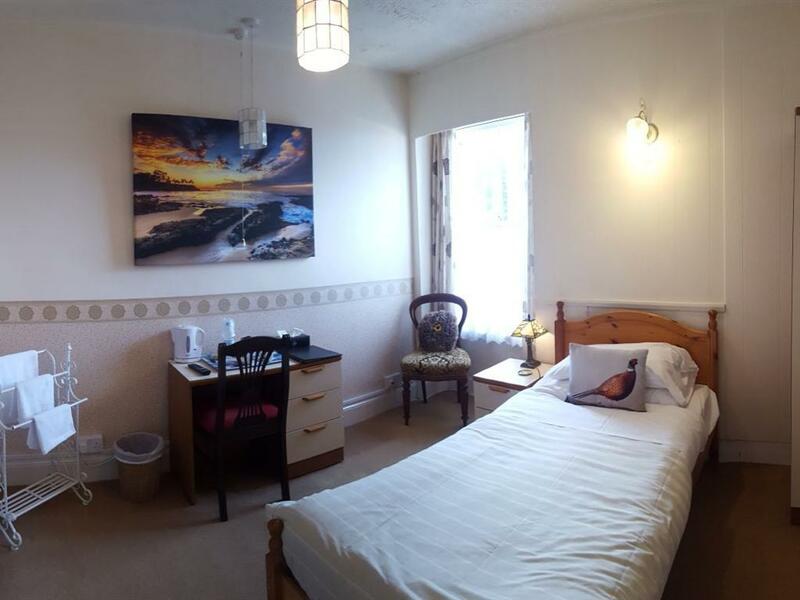 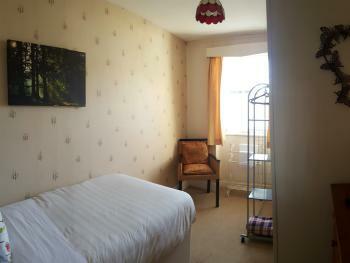 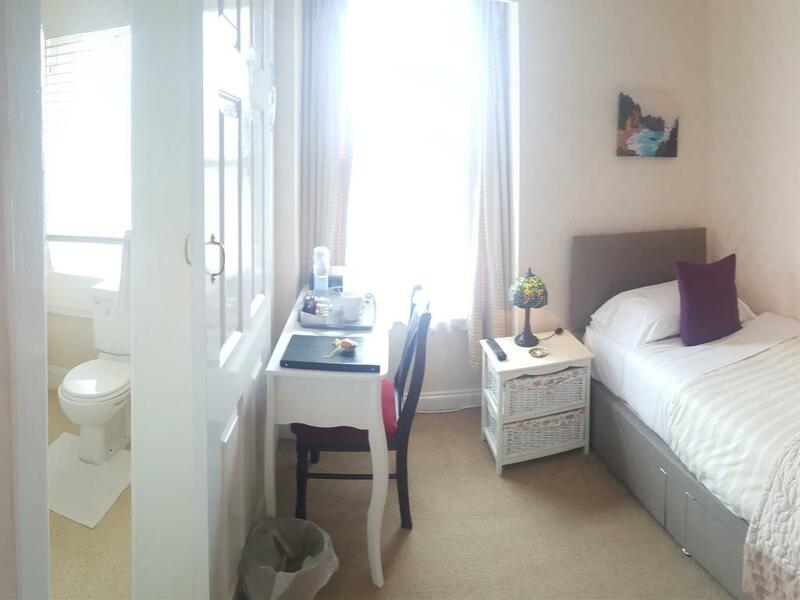 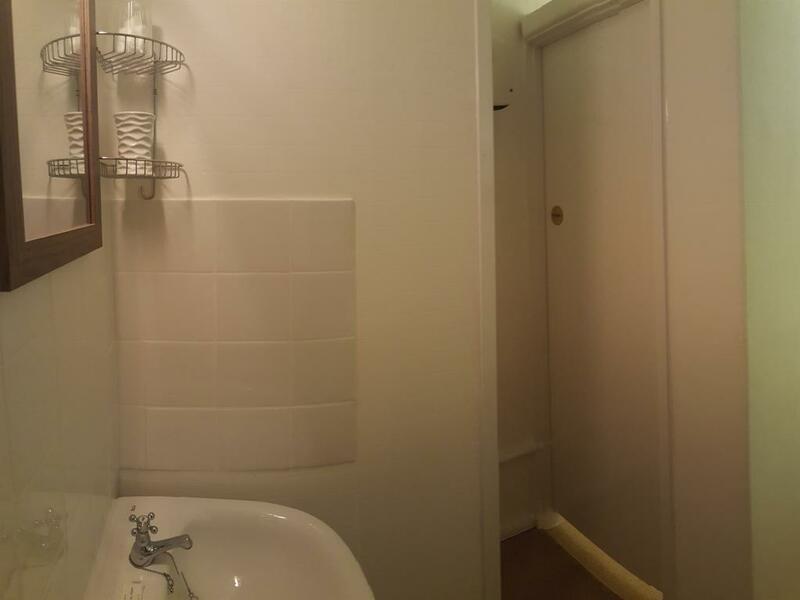 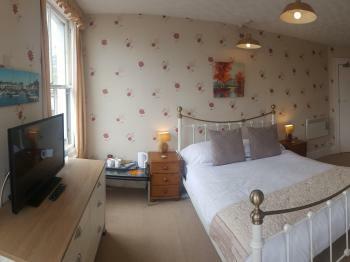 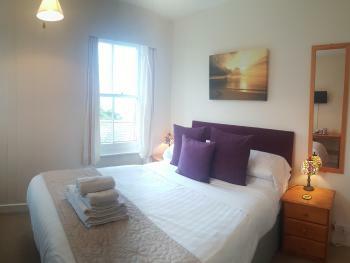 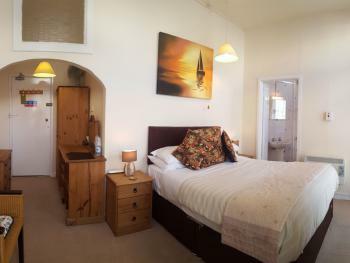 3rd floor, well proportioned single room en-suite with bath (shower over) and sea view across the Channel. 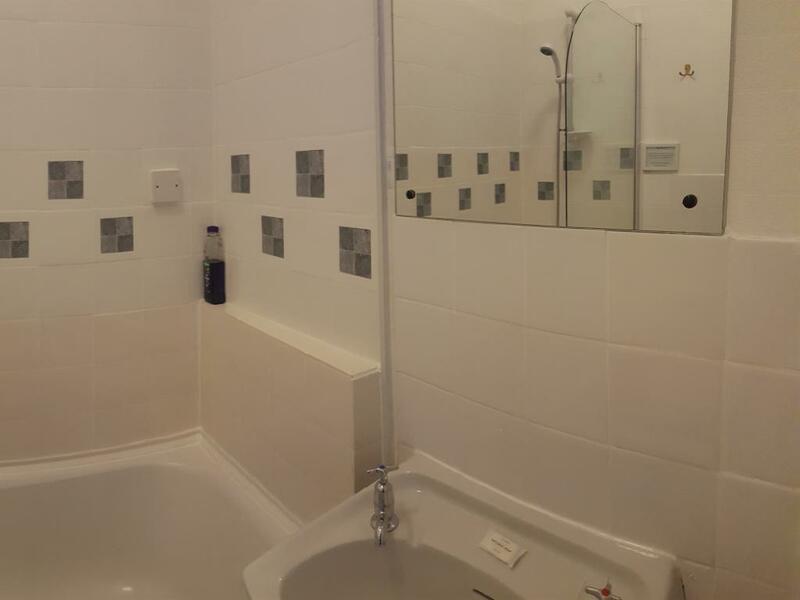 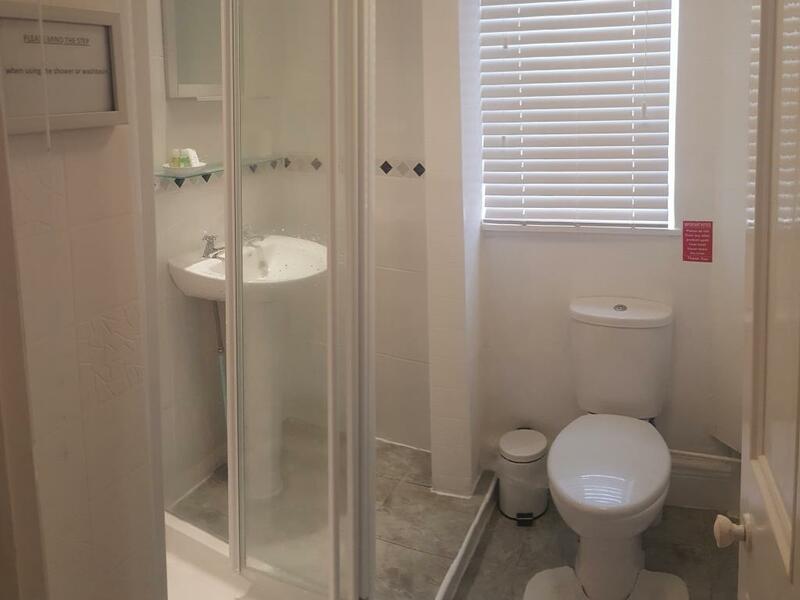 Large 3rd floor double en-suite with electric shower. The floor to ceiling bay windows provide magnificent views across the Channel to the north and over the harbour towards Larkstone Beach and Hillsborough to the east. 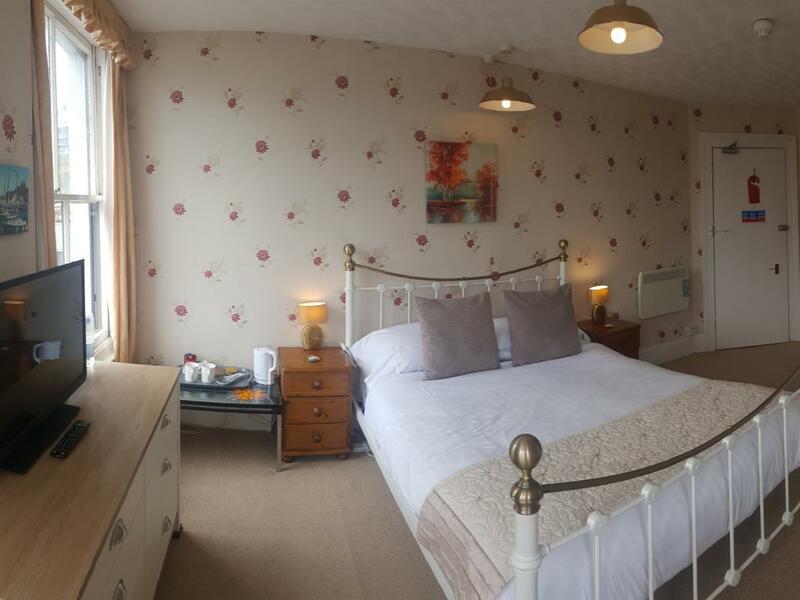 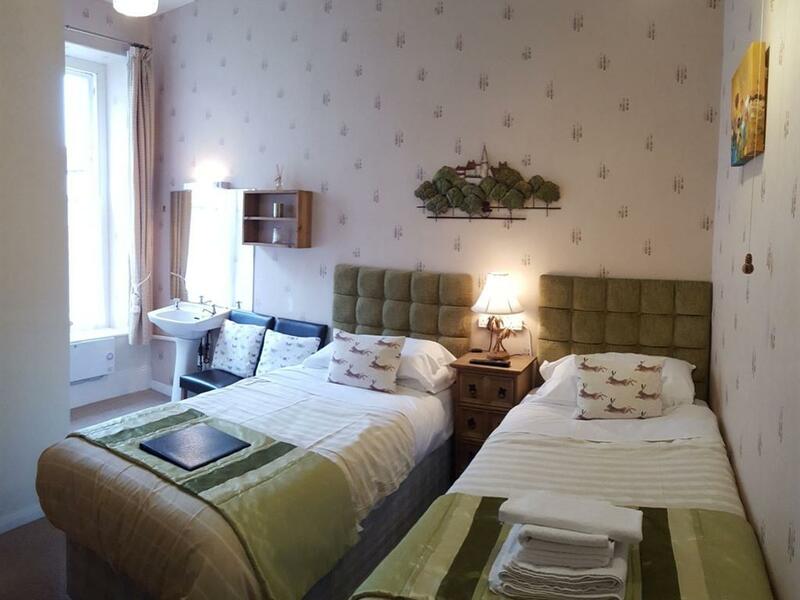 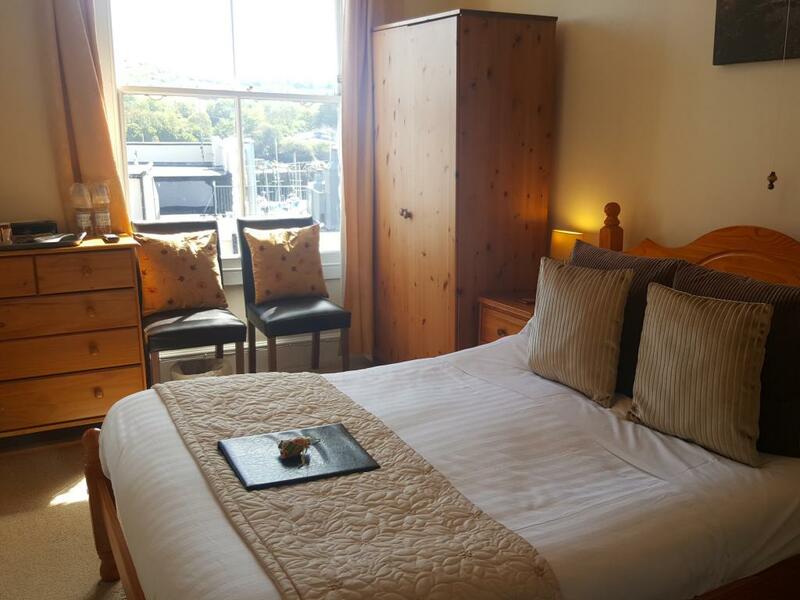 This nine-bedroom B&B is situated just 20 metres from the small beach in Ilfracombe's Heritage Harbour on the route of the South West Coast Path and is ideal for visitors seeking good quality affordable accommodation as a base for exploring the spectacular North Devon coast and Exmoor. 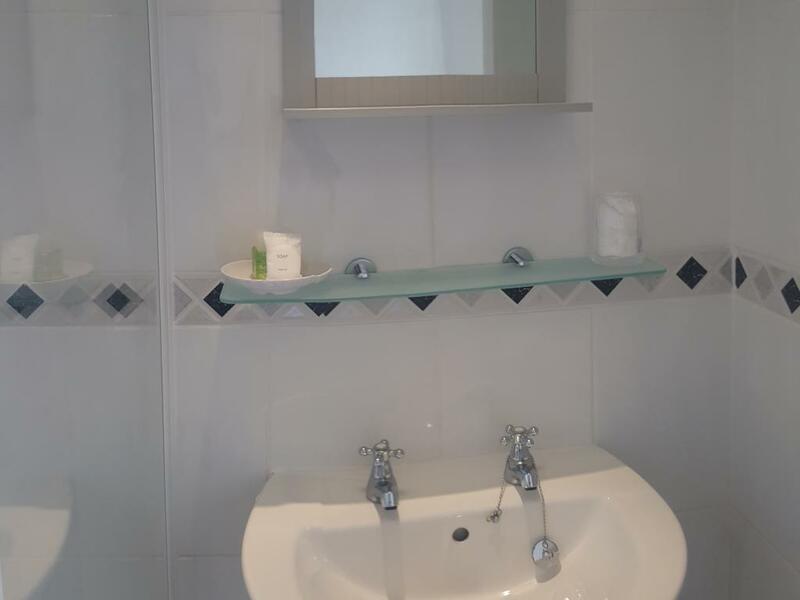 All rooms are fully en-suite with bath or shower, WC and hand washbasin, non-smoking and protected by a modern fire detection and warning system. 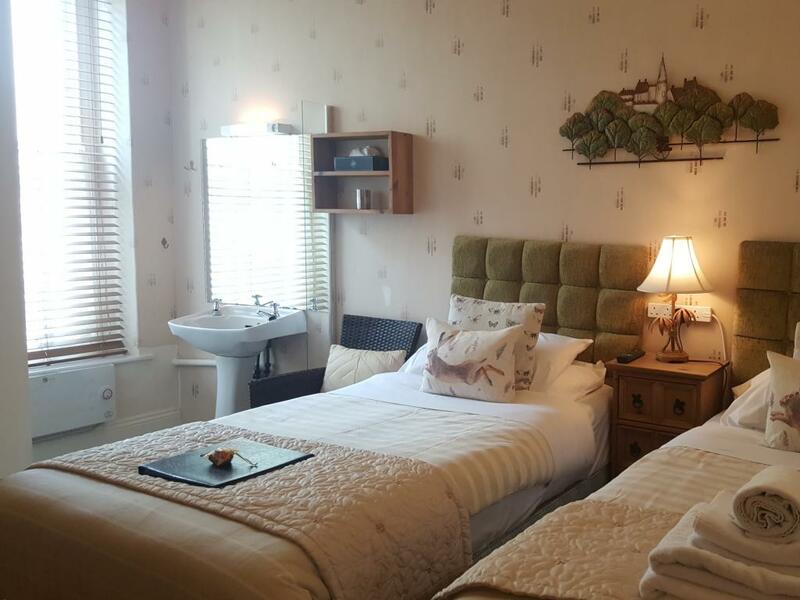 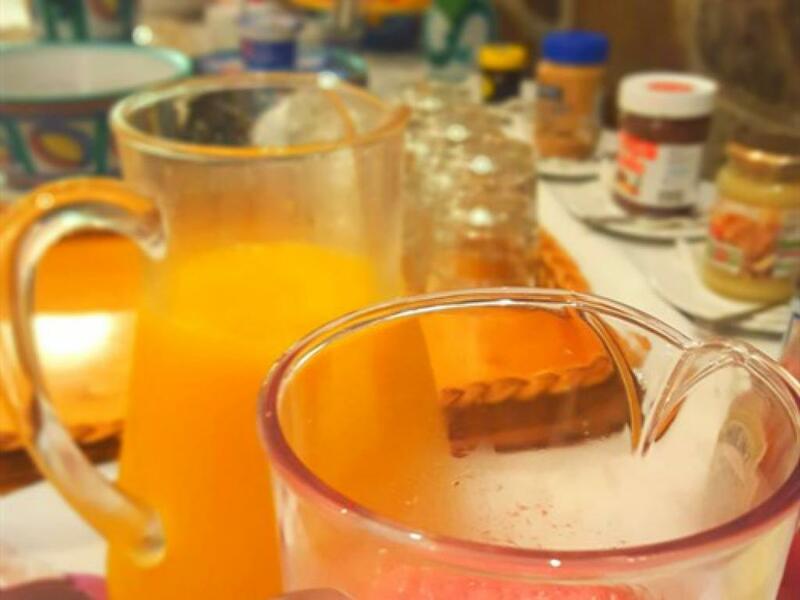 We provide high quality supportive mattresses, professionally laundered towels and bed linen, Freeview TVs (mostly wall mounted flat screens), comfort tray for free in-room tea or coffee, individually controlled heating and many more special little touches to make you feel at home. 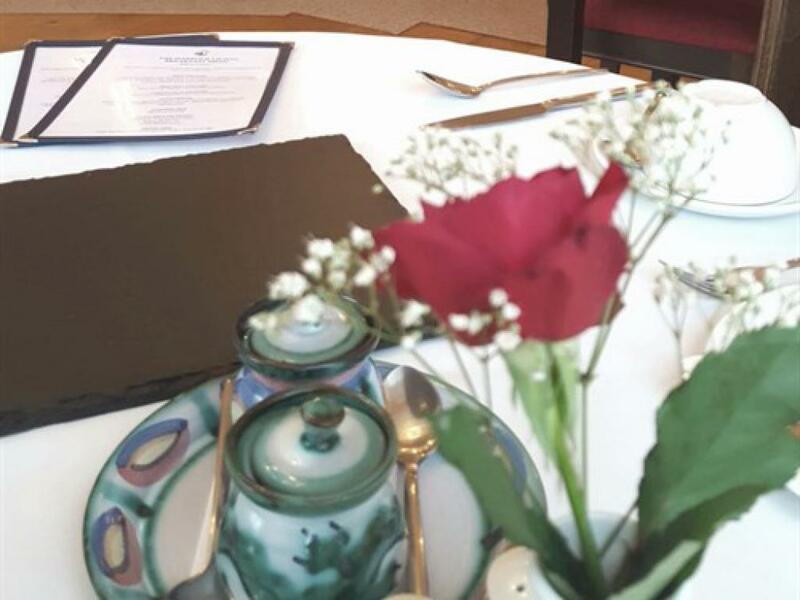 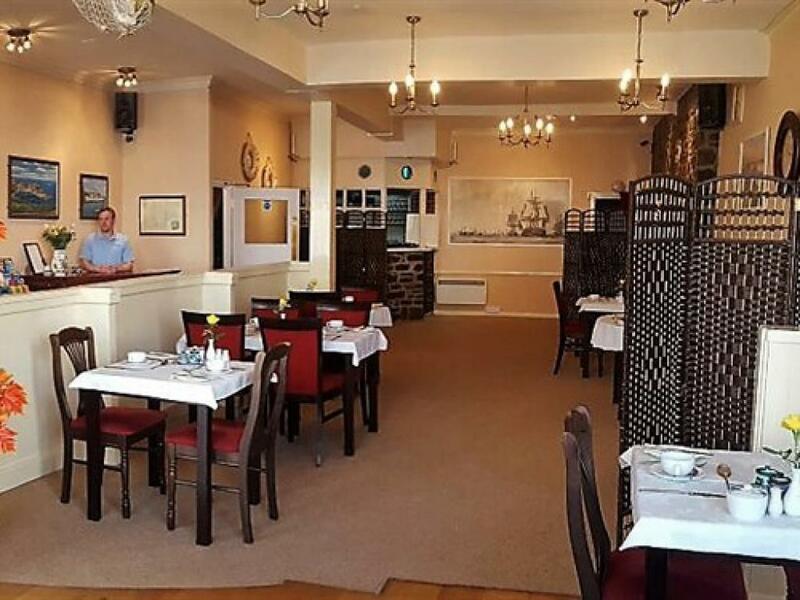 Owned and operated by the resident proprietors, you are assured of a warm welcome. 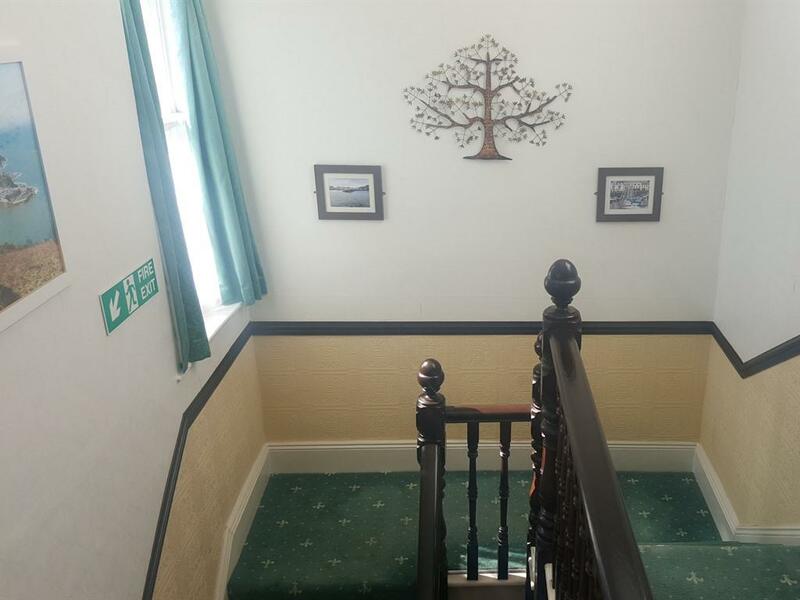 We do not have a lift and all rooms are reached via the central staircase which is fitted with handrails/banisters. 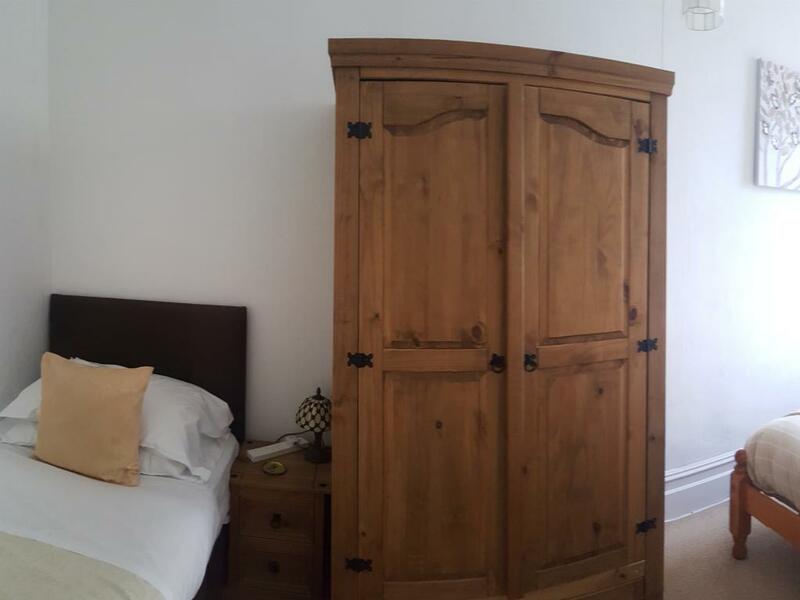 We will provide as much help as we can with luggage. After passing the Landmark Theatre/TIC on your left continue along the promenade and into St James Place passing the church of St Philip and St James on your right. At the t-junction with the RNLI shop opposite turn left into Broad Street. The Harbour Lights is immediately on your left. 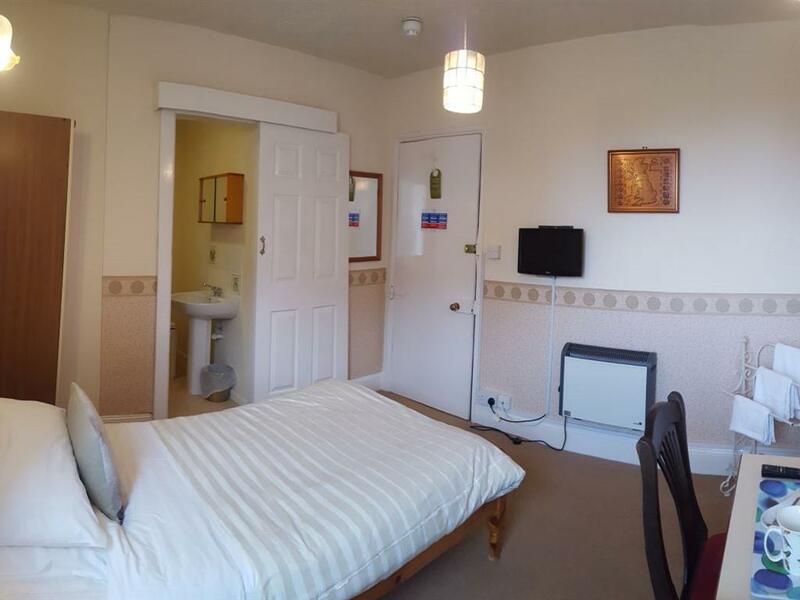 The nearest railway station is Barnstaple. 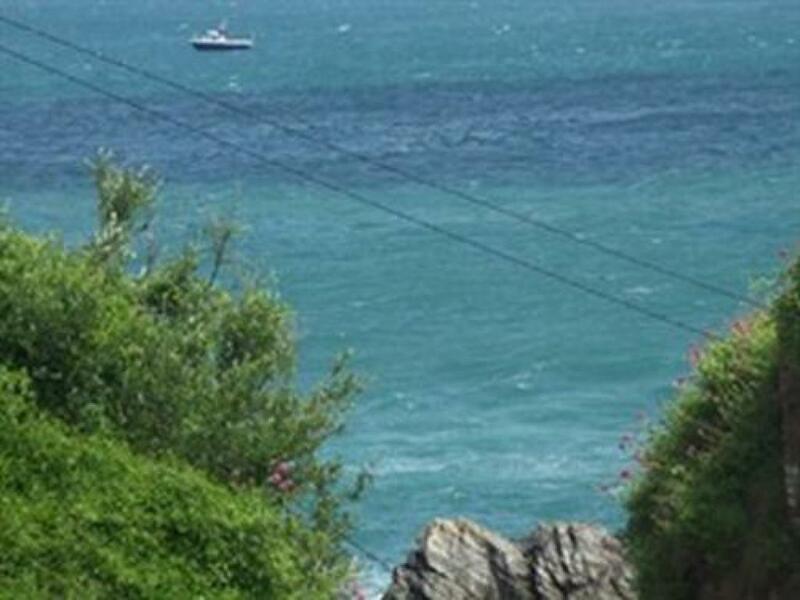 There is a regular bus service (No 3) to Ilfracombe. 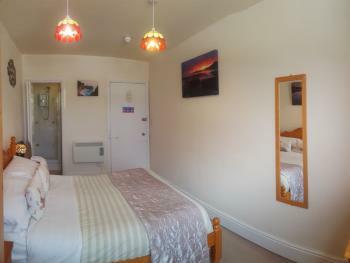 The journey takes about 45 minutes and you should alight at Ilfracombe Bus Station on Broad Street. 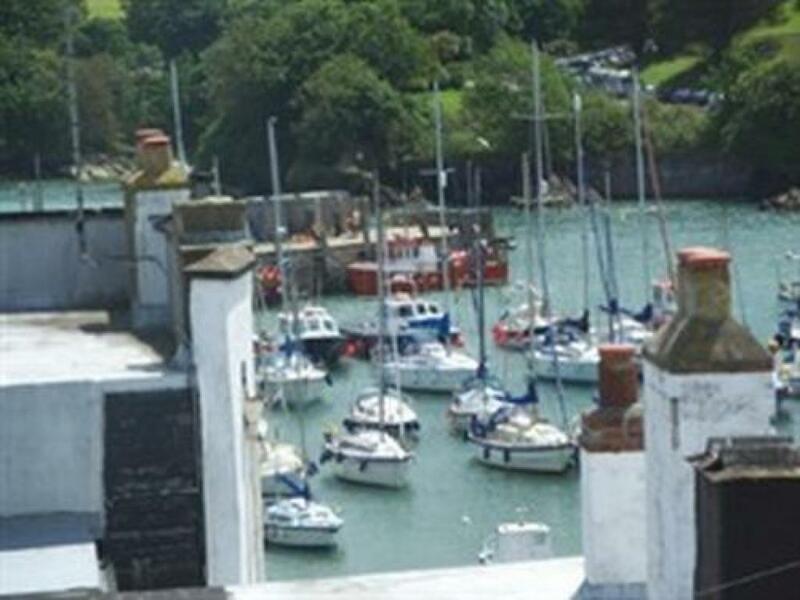 The Harbour Lights is 100yds along Broad Street in the direction of The Quay. National Express coaches arrive in Ilfracombe daily from Taunton. 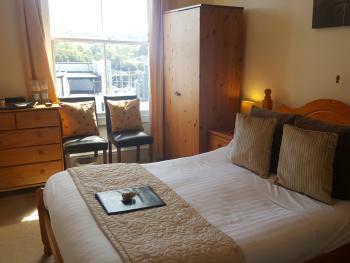 The Harbour Lights is 100yds from the coach stop in the direction of The Quay.